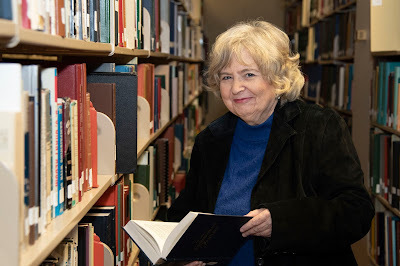 Sheila Bevill, Arkansas State Archives librarian, is the longest-serving member of our Archives staff. She recently took the time to answer a few questions about being a librarian, working at Archives and helping people research. A: Librarian and have worked here since 1988. A: I catalog library materials in OCLC Connexion Client and SIRS Workflows library programs. Also, I assist in the Research Room at the Archivist desk with manuscripts, maps and microfilm. And I assist patrons with research questions and orient new patrons of our library holdings. A: I started researching when I was working on my Library Science degree. A: Archives has several publications by St. Louis, Iron Mountain and Southern Railway Company that promote Arkansas, like Homeseekers’ guide to Arkansas. A: It has wealth of information about our state and our ancestors. A: Most enjoyable part of my job is finding book or collection that help them with their research. A: We will still be cataloging materials and microfilm. We also will digitalize photographs pertaining to Arkansas. A: (People need to know) We have wealth information in our vertical, biographical files, newspaper and photographs.